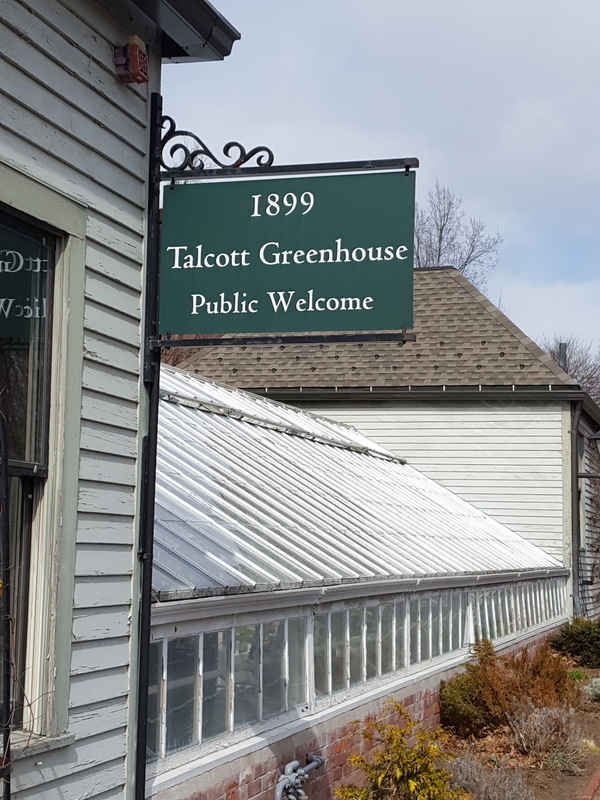 With wind chills near 0° last Saturday morning, we couldn’t pass up the opportunity to take refuge from the elements in the Talcott Greenhouse at Mt. Holyoke College in South Hadley, MA. Stepping inside, we were greeted with the sights and scents of a spring splendor extraordinaire – the 2017 Spring Flower Show. 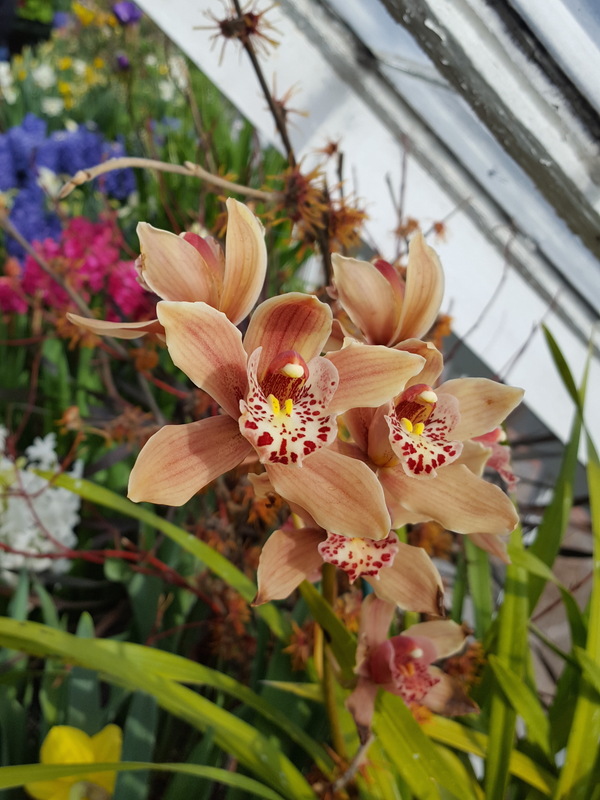 This year’s theme was ‘Spring Pools,’ with the main Show House filled with hundreds of forced bulbs, some exquisite Cymbidium orchids visiting from the Orchid House, and a collection of brightly colored spring-blooming plants including violas, calceolarias, and schizanthus. 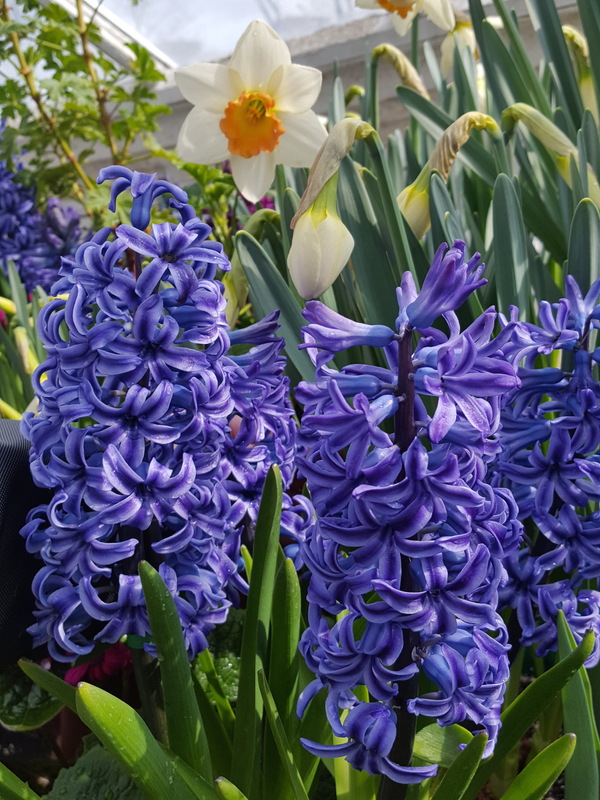 It was a wonderful opportunity to get a spring preview and to admire some interesting plant combinations. Outside it was winter, but a few steps indoors, and it was a different world. 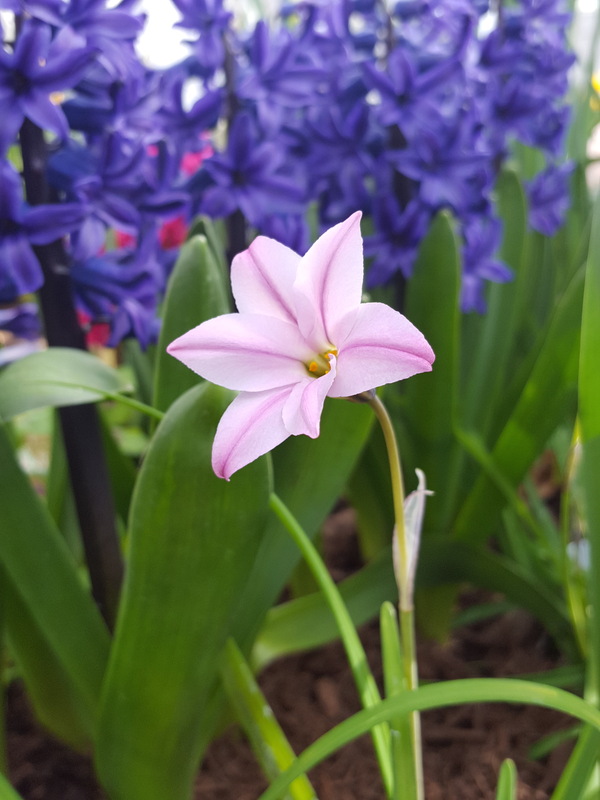 Ipheon ‘Tessa’ blossoms against a backdrop of fragrant hyacinth blooms. 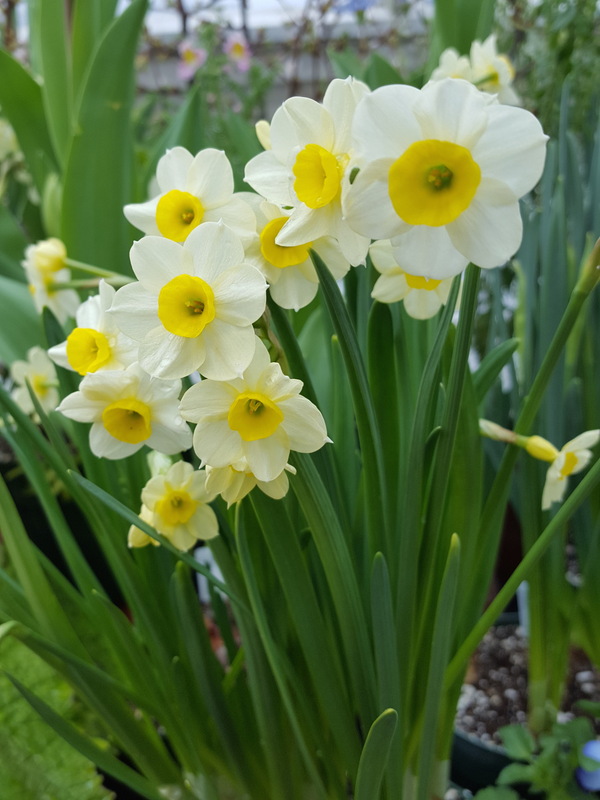 Narcissus ‘Minnow’ is a diminutive fragrant Tazetta that produces 3 to 5 stems per bulb. Each planting is like a ready-made spring bouquet. 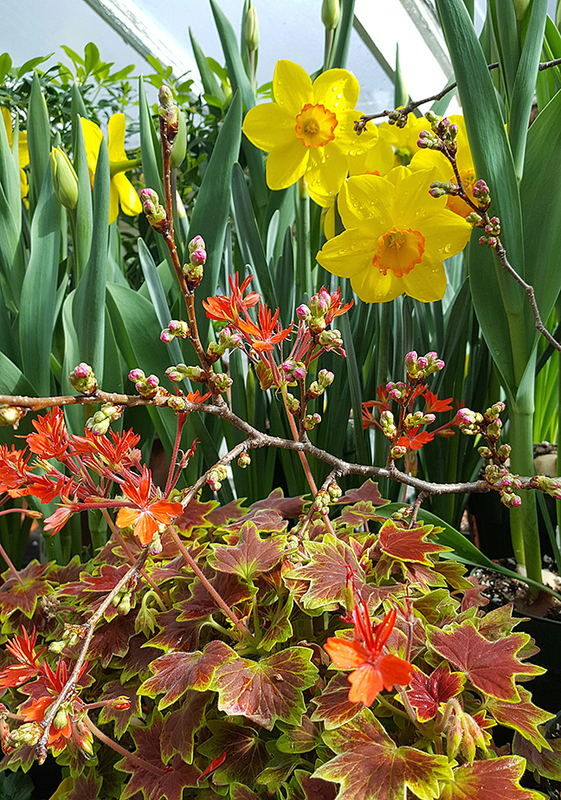 The blossoms of a Cymbidium Orchid create color harmony with the ribbon-like blooms of a witch hazel, Hamamelis x intermedia ‘Jelena,’ which was forced indoors for the display. 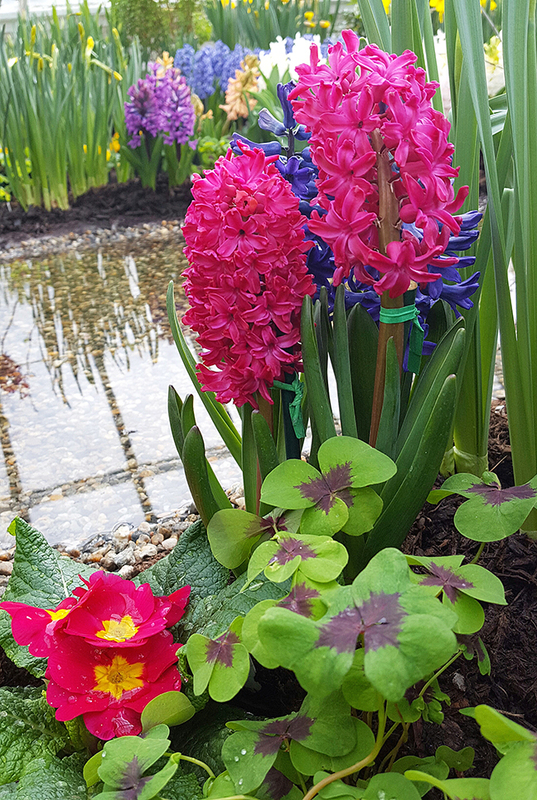 A pop of bright spring color comes from fragrant Hyacinth ‘Jan Bos,’ which was planted alongside a magenta primrose and a shamrock-shaped oxalis. Mt. 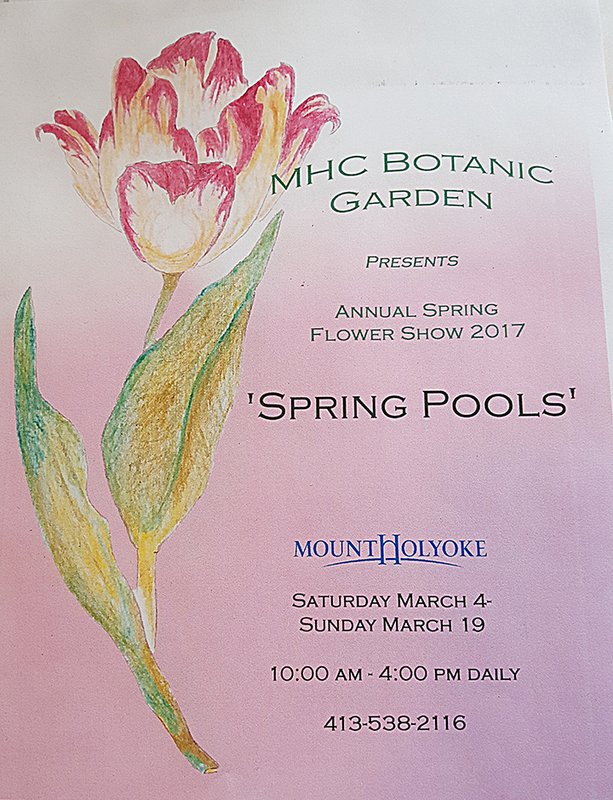 Holyoke College’s Botanic Garden 2017 Spring Flower Show, ‘Spring Pools,’ runs daily through Sunday, March 19th.